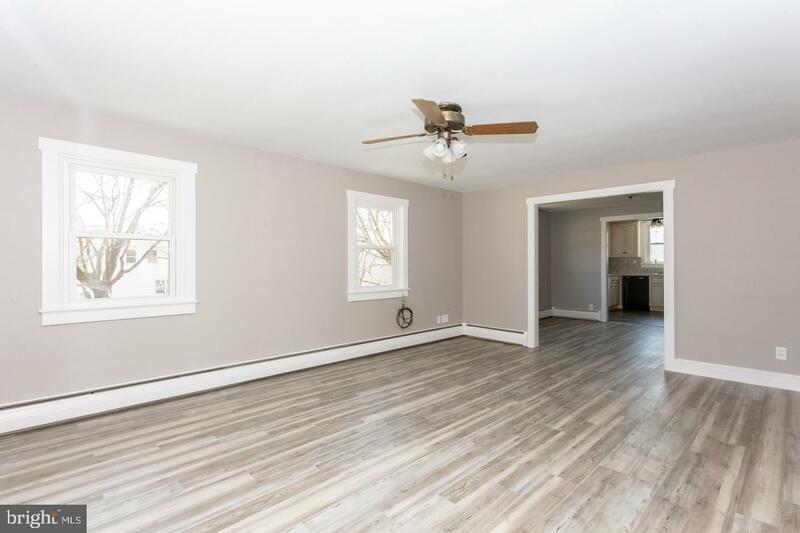 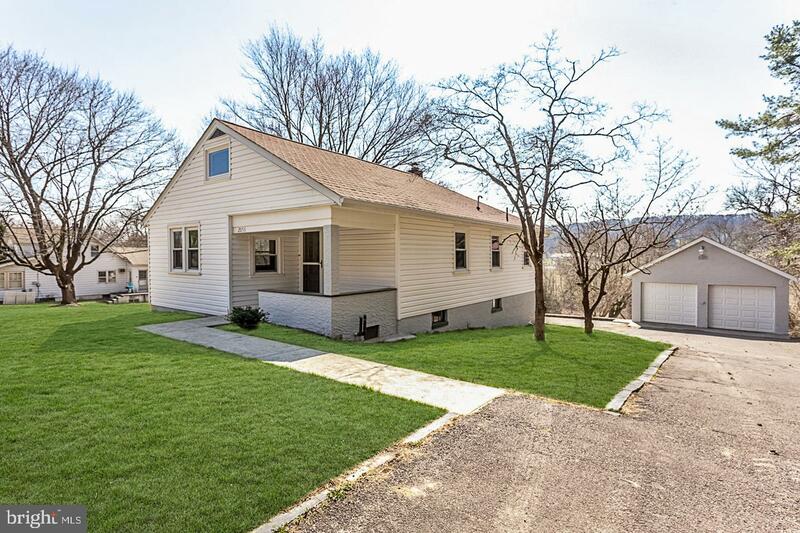 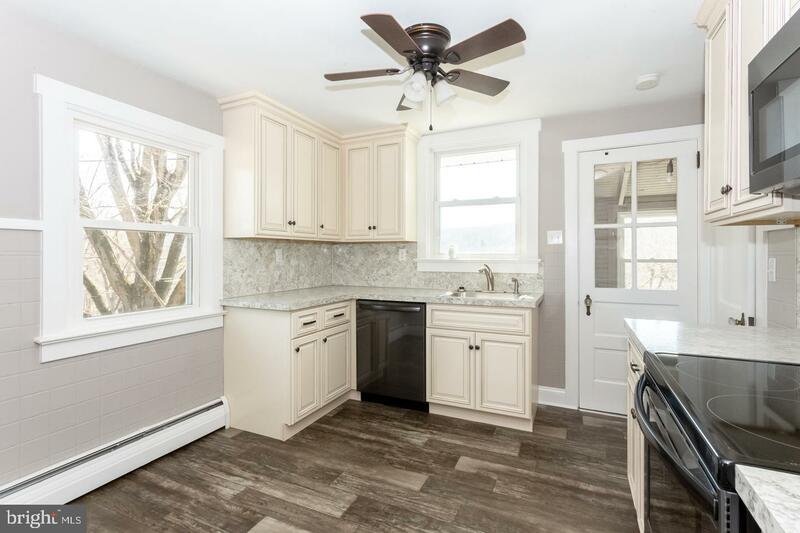 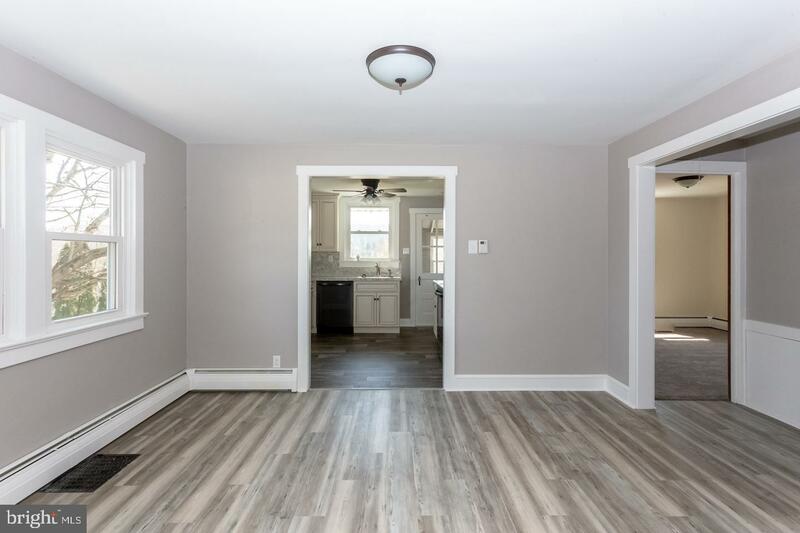 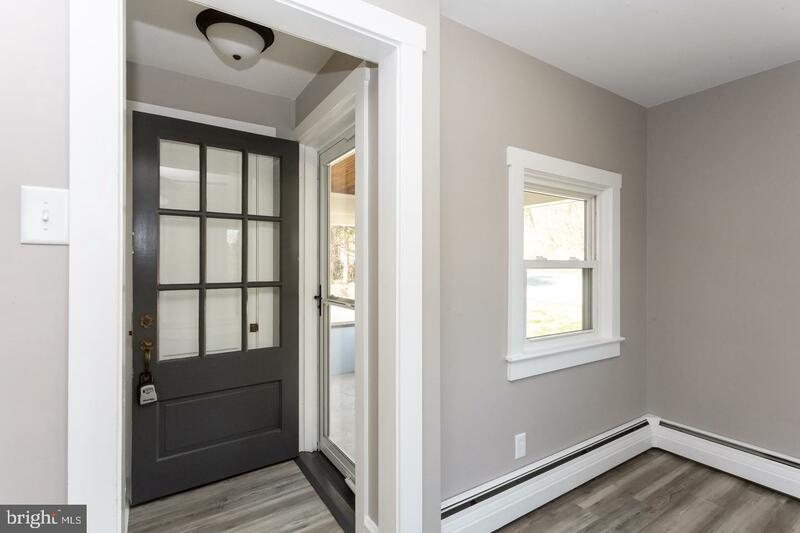 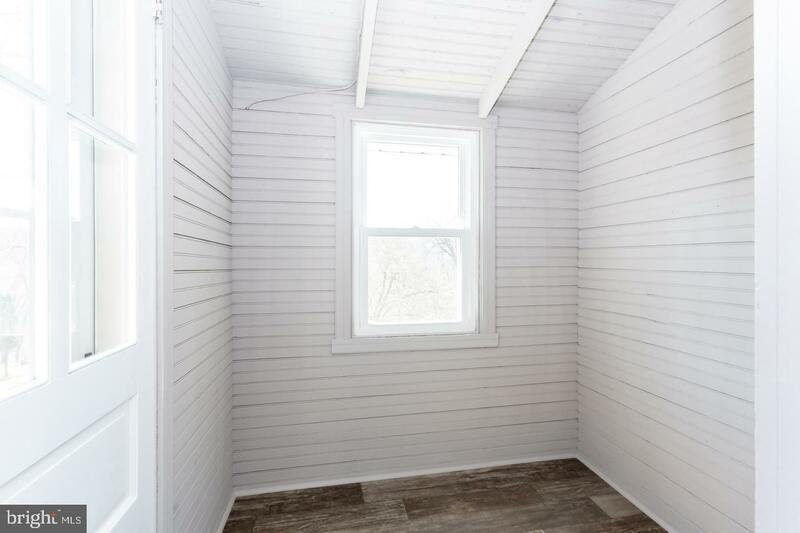 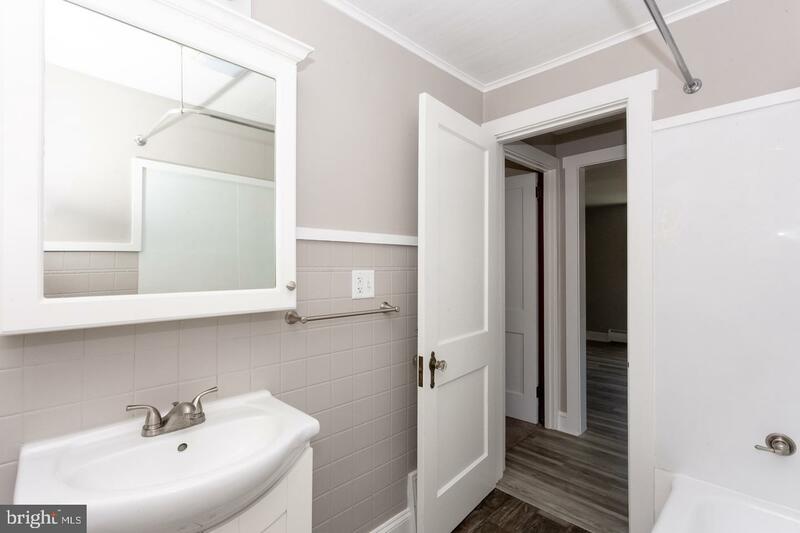 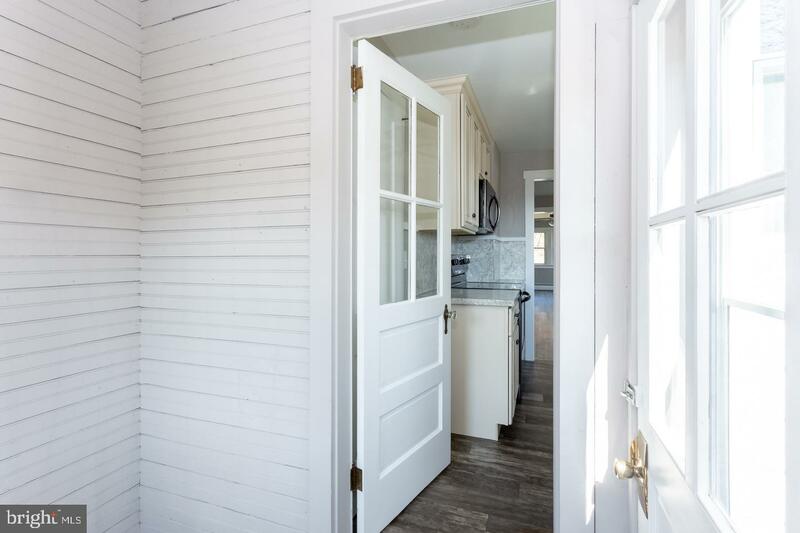 Quintessential Elverson charm can be found in this beautifully renovated 2 bedroom, 1 bath rancher in award-winning Owen J. Roberts School District. 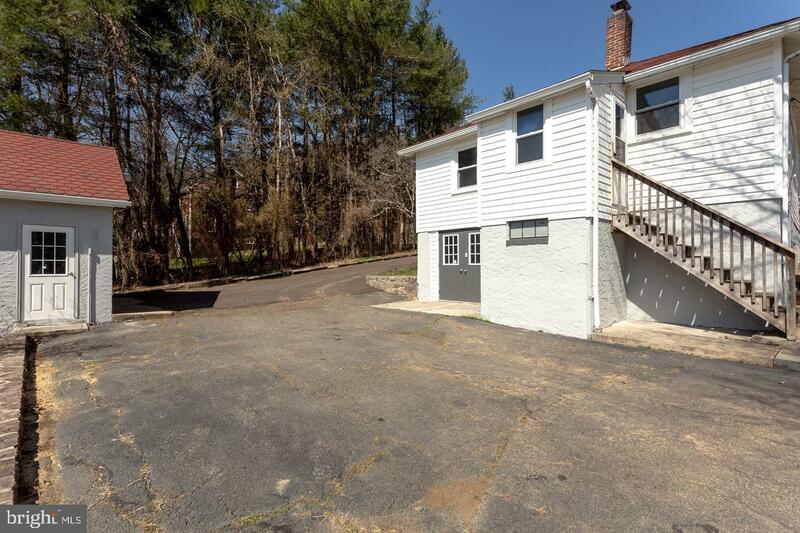 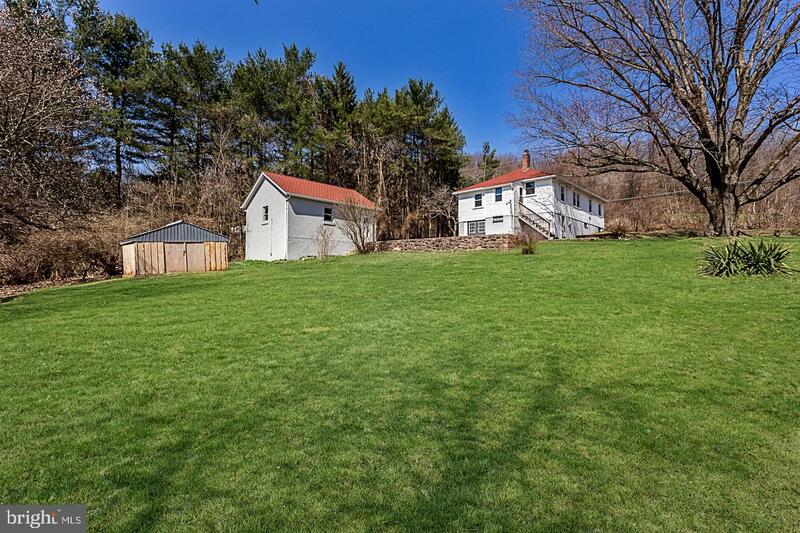 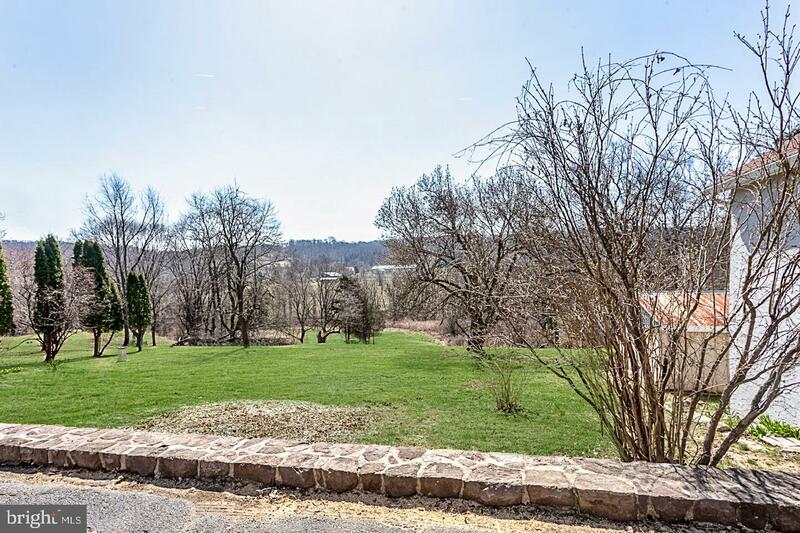 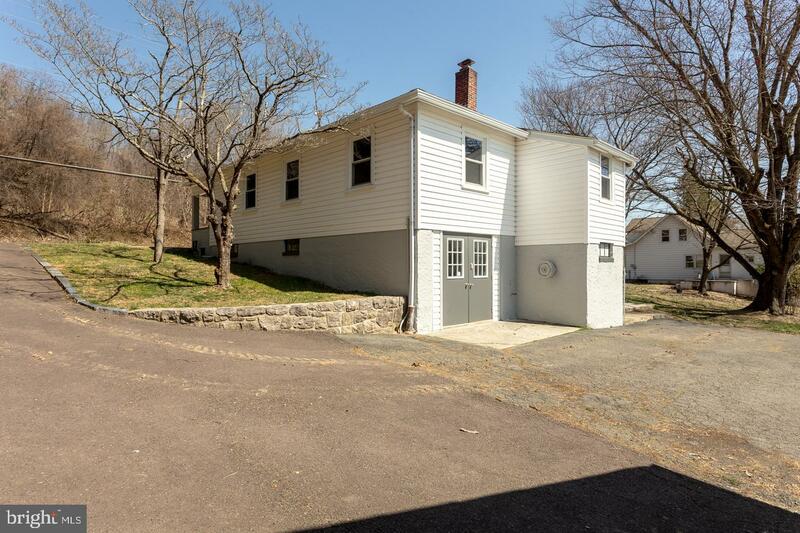 This home is perched on just over a half acre lot, but the sprawling backdrop to this home allows the owner to bask in the tranquility that Warwick Township has to offer. 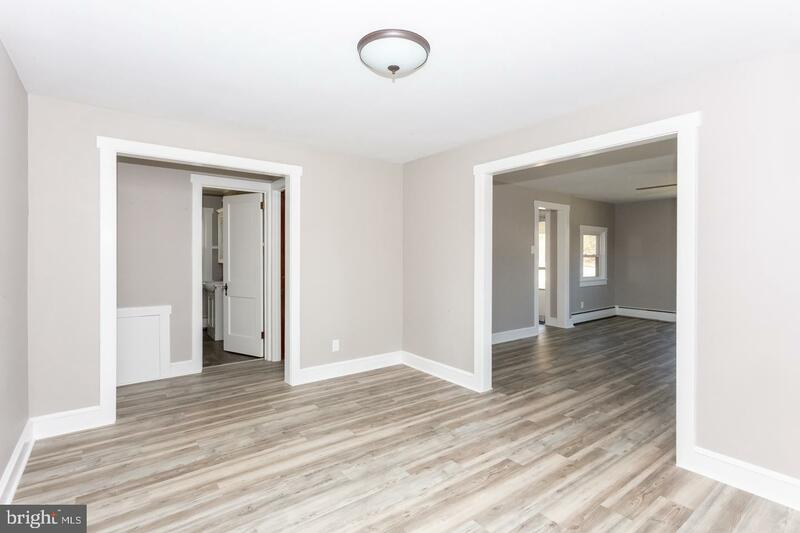 The home invites you into the large, open concept living space. 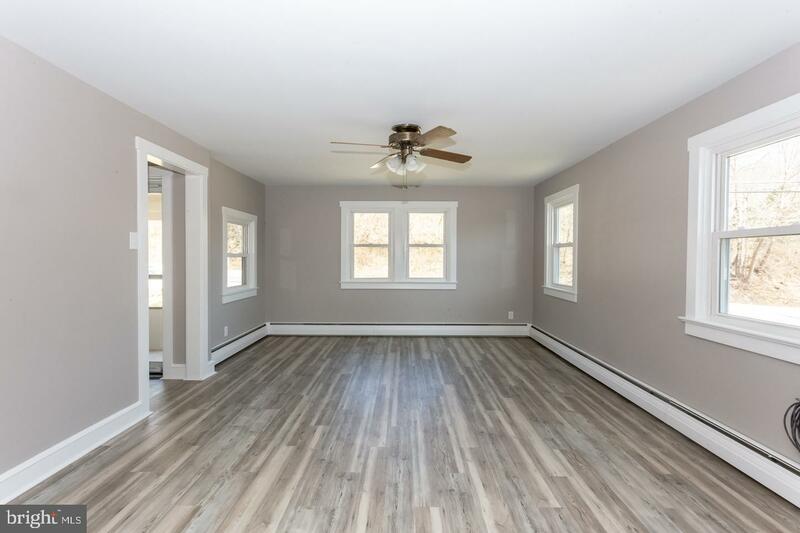 Bathed in natural light, this space has a neutral palette of gray and pristine whites that pair perfectly with the laminate hardwood flooring held throughout the area, aside from the ample sized bedrooms, which are carpeted. 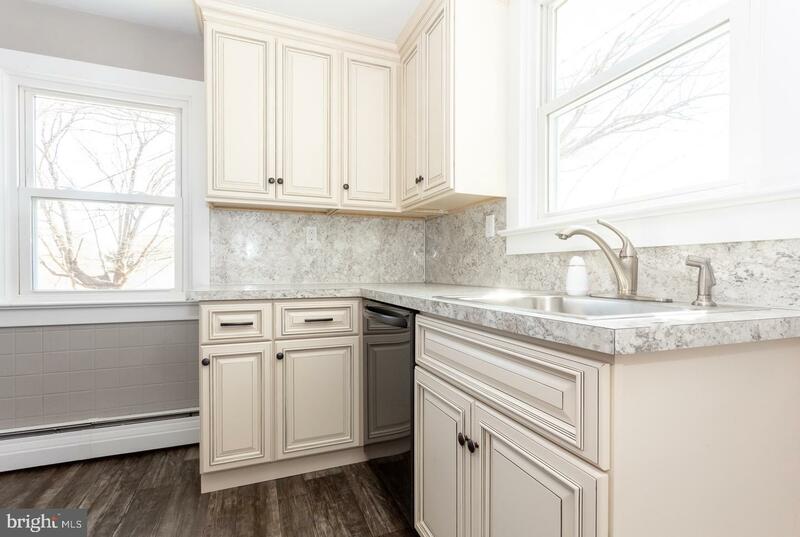 The eat-in kitchen is truly the heart of this home with beautifully renovated custom cabinetry and granite countertops. 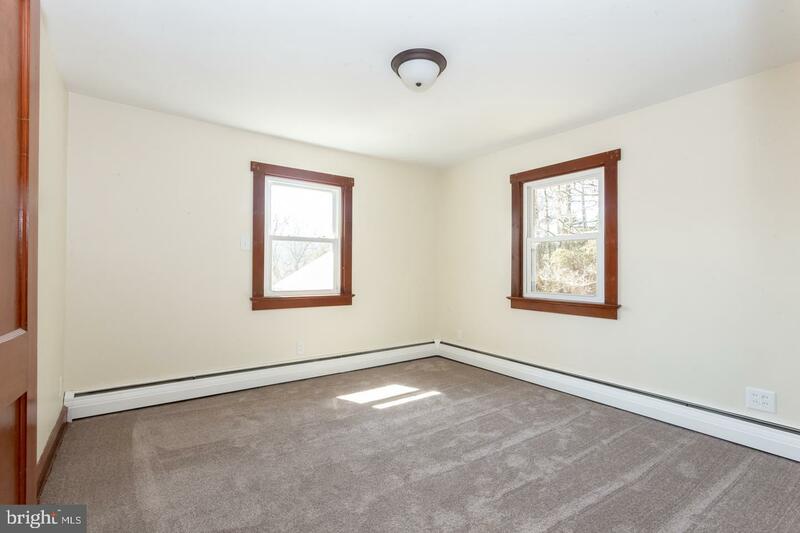 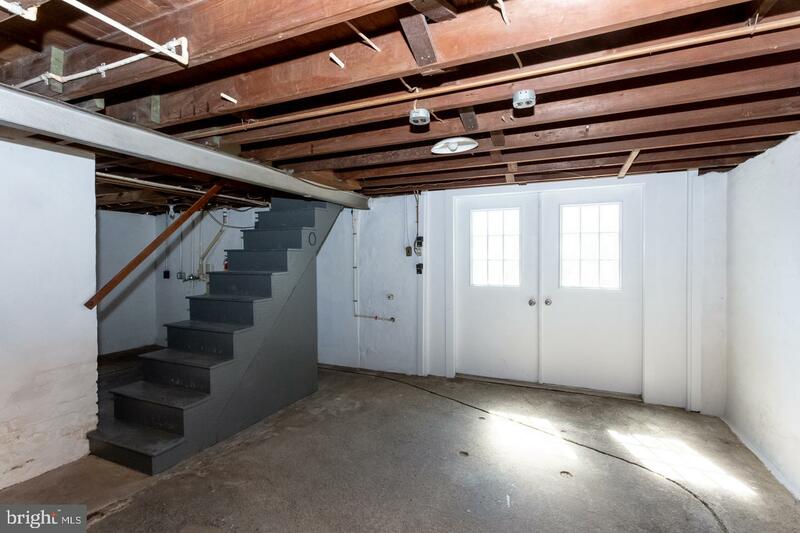 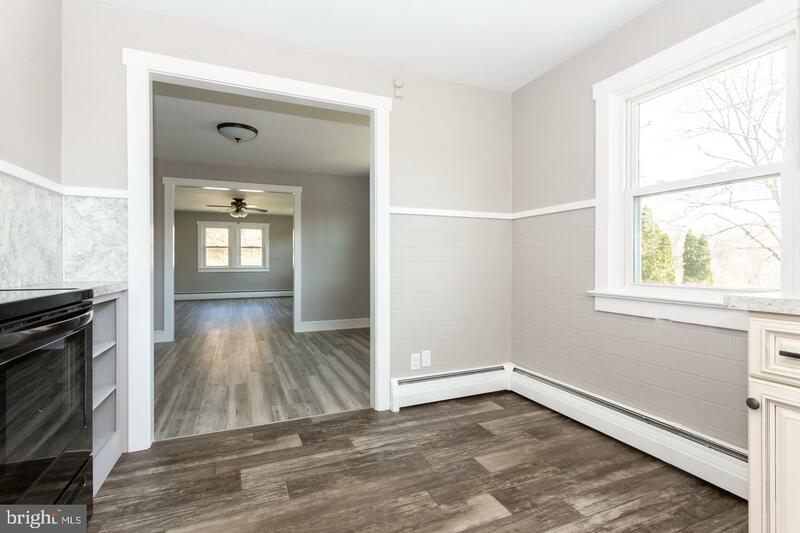 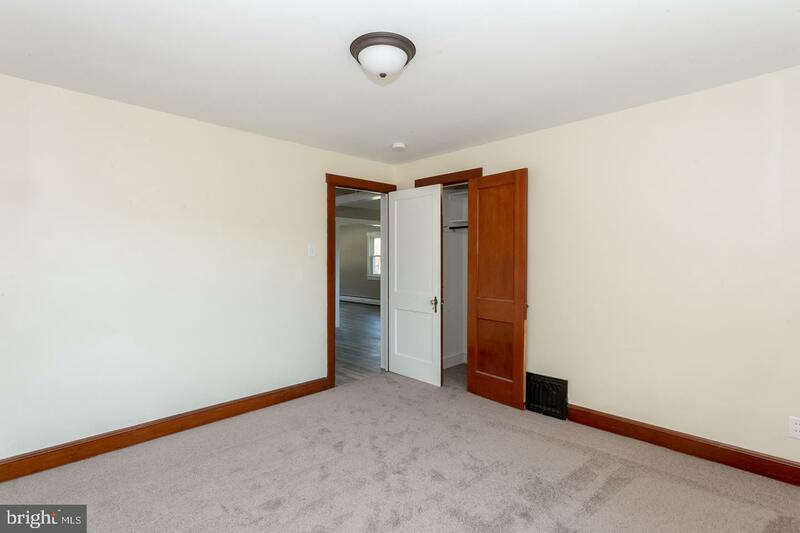 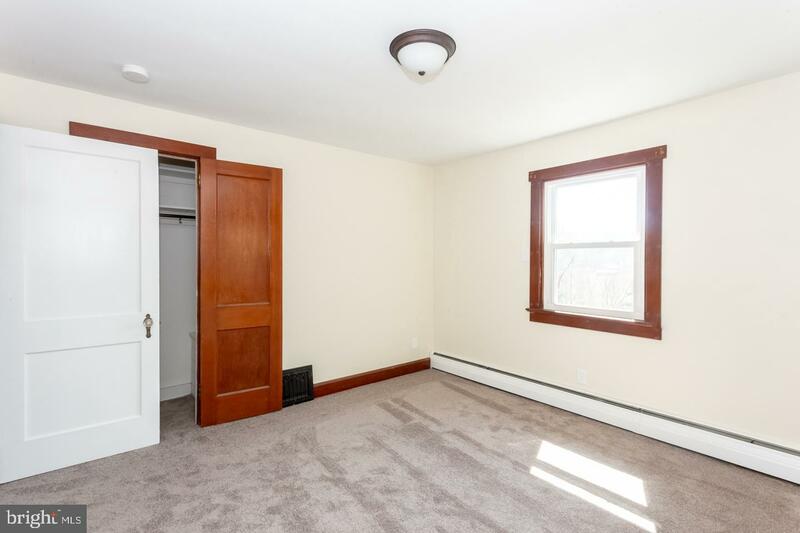 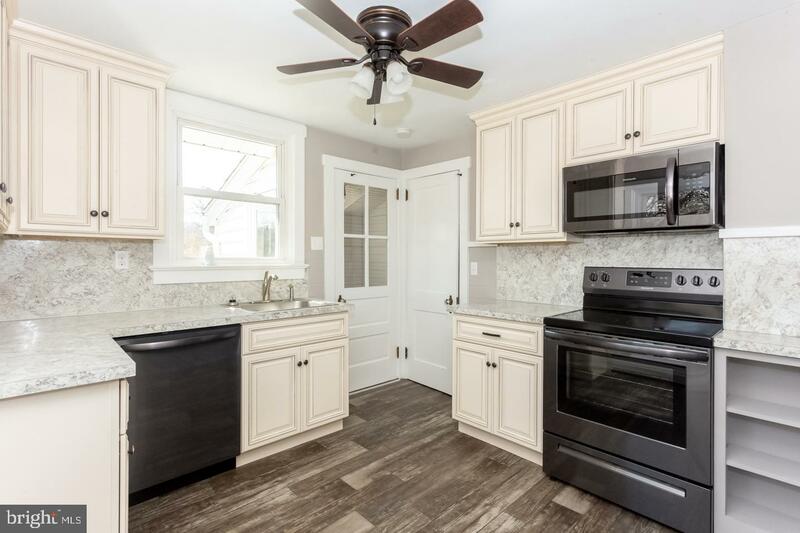 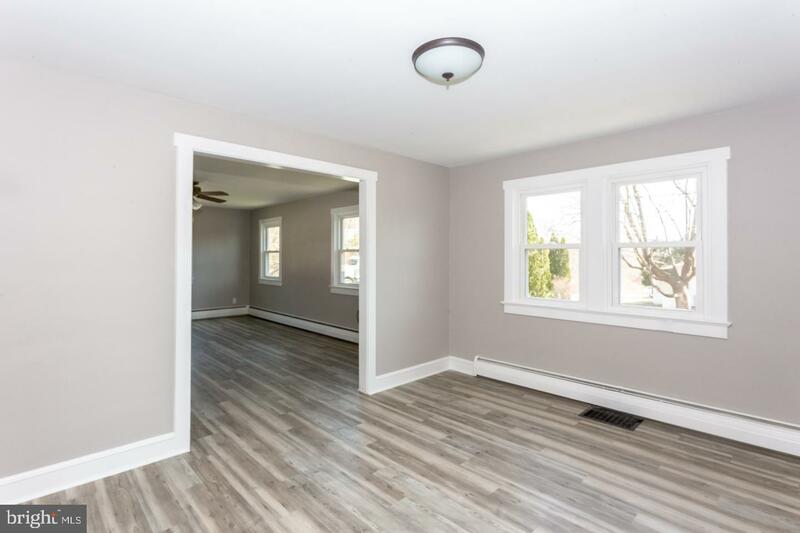 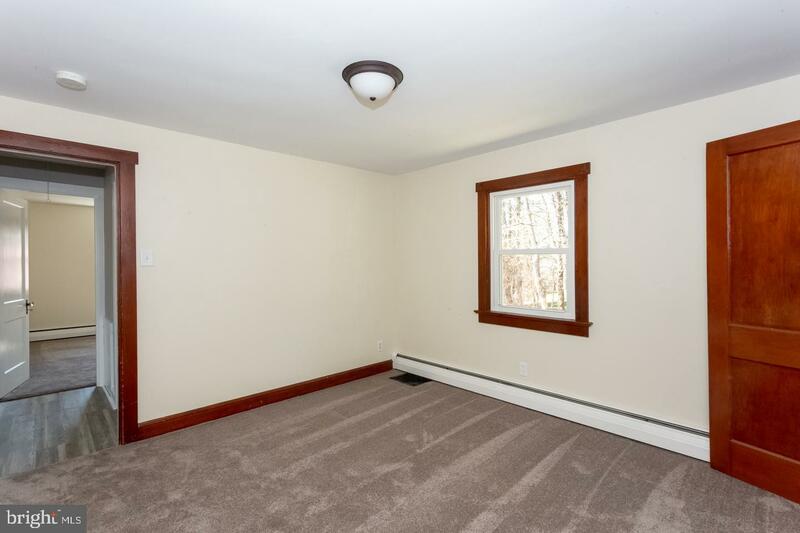 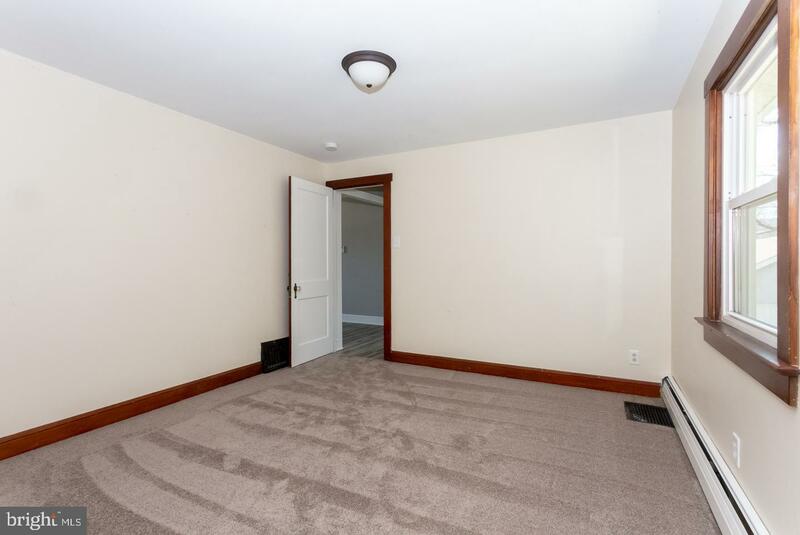 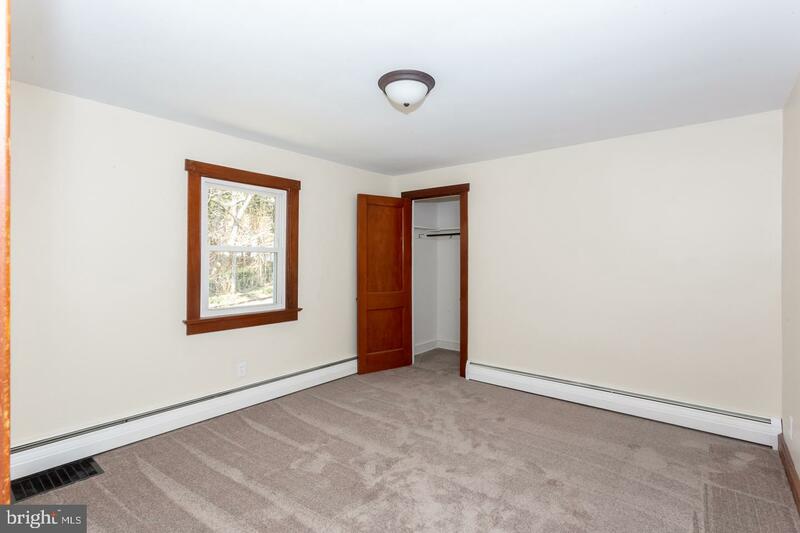 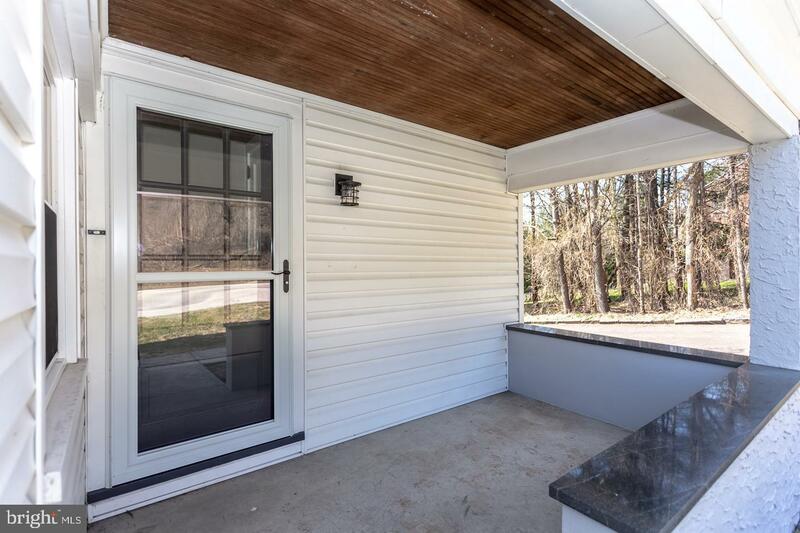 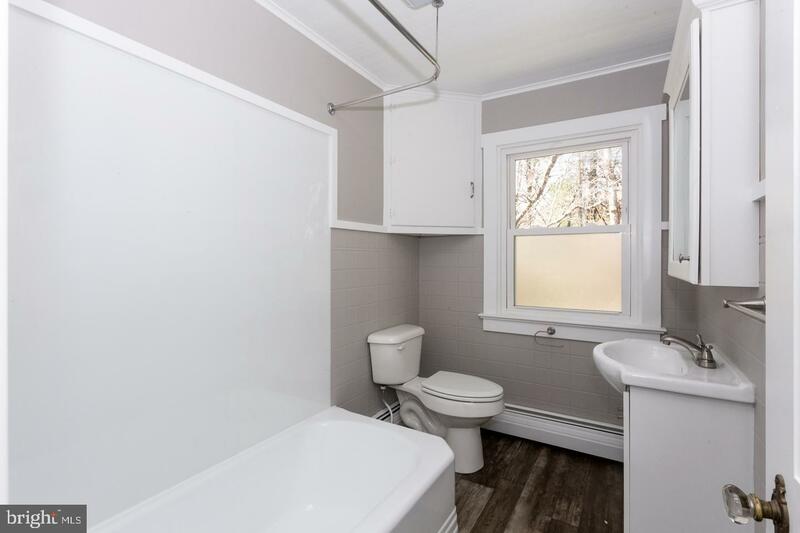 Boasting a formal dining room and also a bonus room on this level that can be utilized as a mudroom, there is no detail that has been spared in the renovation of this home. 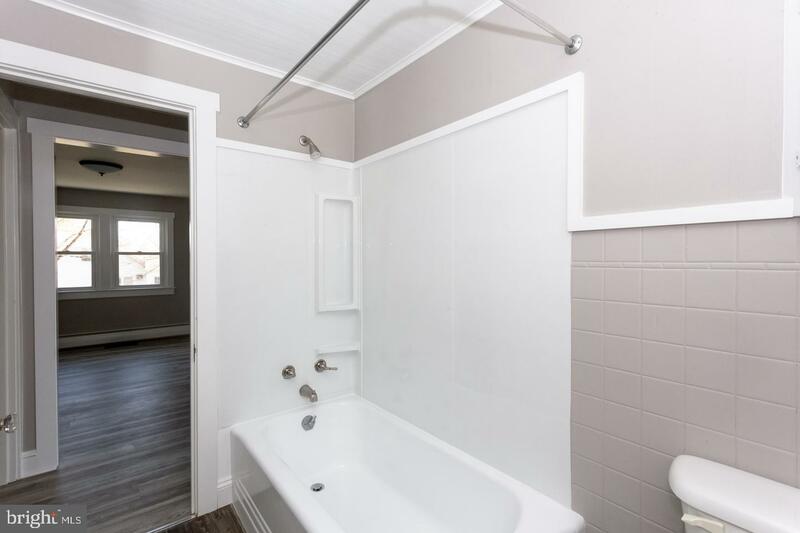 The two, large bedrooms share the use of the fully renovated hall bath. 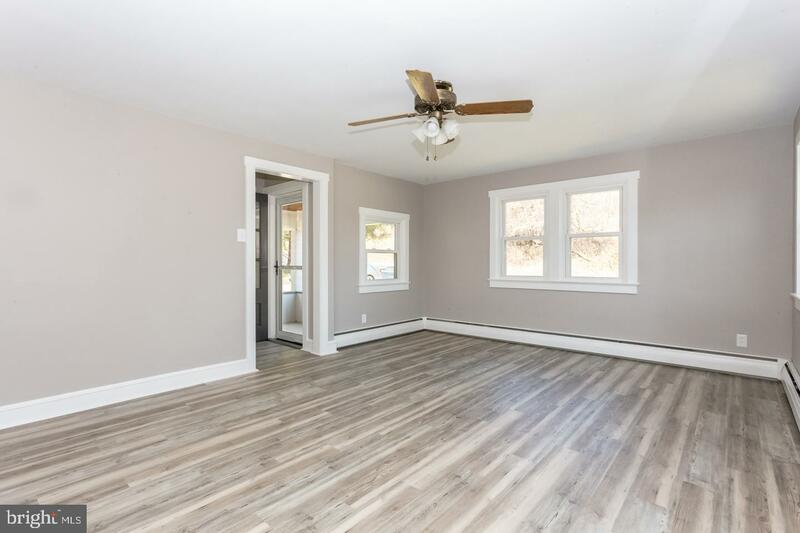 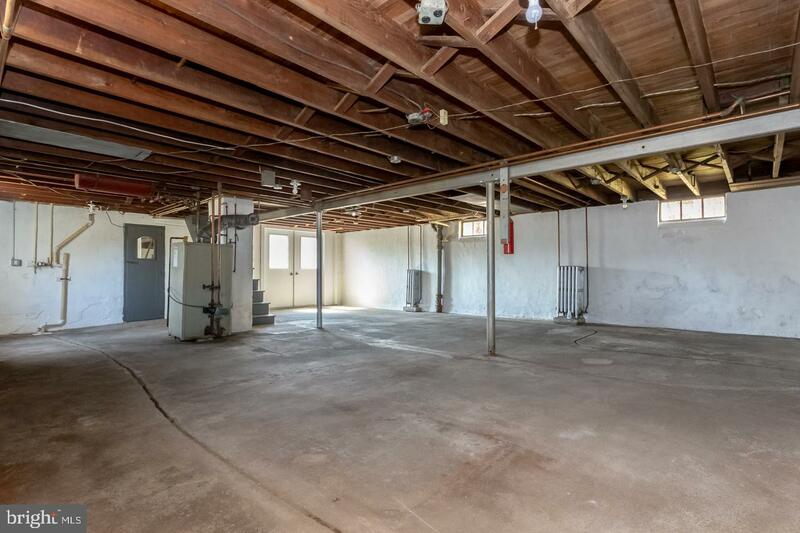 The basement awaits your finishing touches and a large, concrete patio can be found on this lower level, where you will find the ideal setting to unwind after the day and take in the sunset with panoramic views. 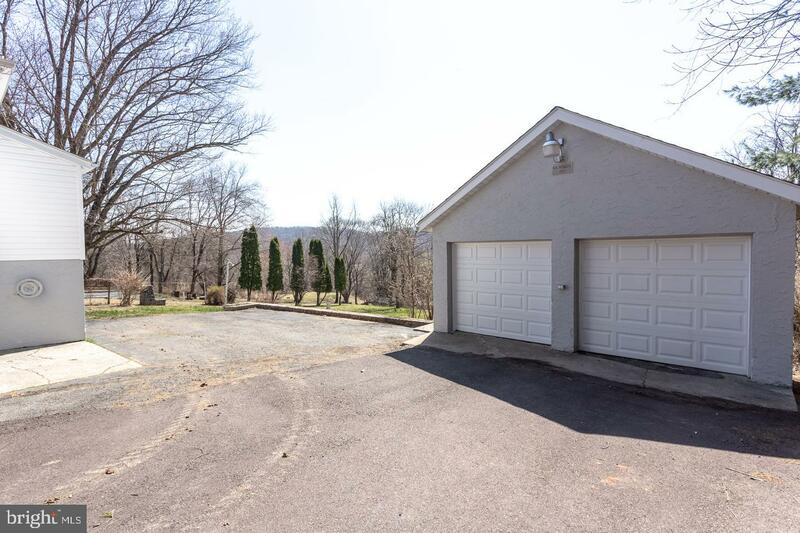 A spacious, two-car detached garage can also be found to the rear of the home with ample space for storage. 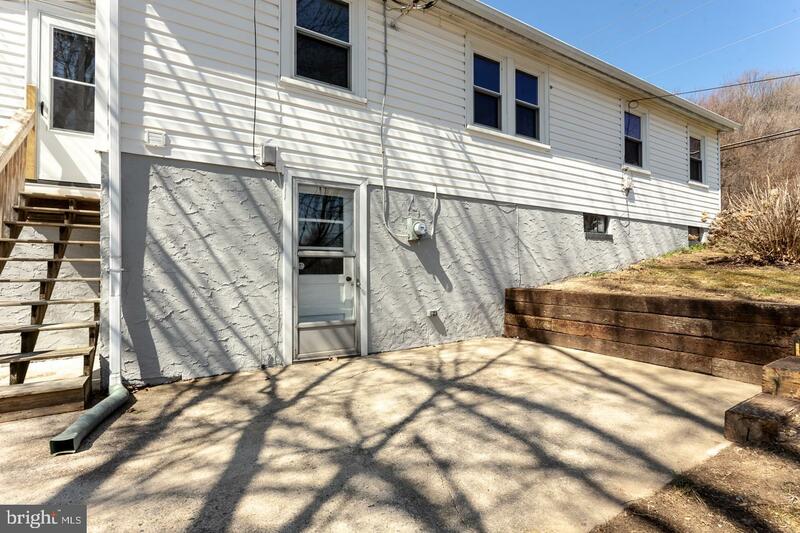 Close to many major routes, this home is a must see, as it will not last long.